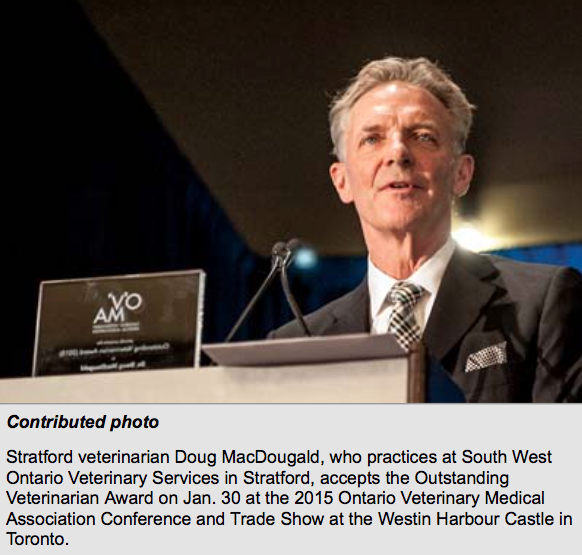 As posted by the Peterborough Examiner, February 23, 2015. 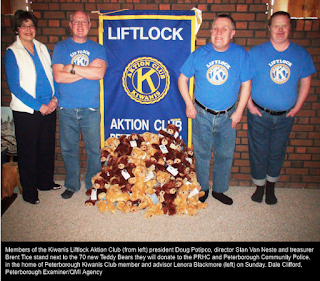 The Kiwanis Liftlock Aktion Club continues to give Teddy Bears to children or anyone who needs a hug. In their 10th year, they will donate 70 of the furry little creatures to the Peterborough Regional Health Centre this Thursday and to local police on March 26. 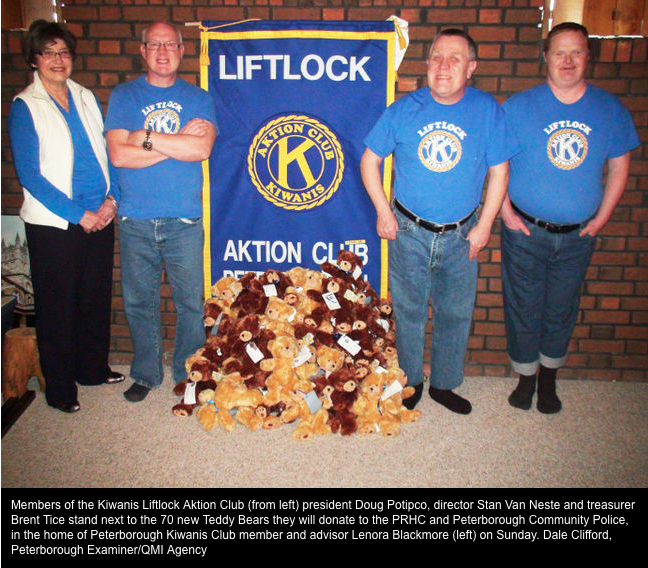 The Peterborough Kiwanis Club and the Kiwanis Club of Scott's Plains co- sponsor the Aktion Club which is in partnership with Community Living Peterborough. It allows adults living with disabilities an opportunity to develop initiative and leadership skills, serve the community, be integrated into society and demonstrate the dignity and value of citizens living with disabilities. Members of these former clubs act as advisors to the members of Liftlock club who elect their own club executives. The club, which meets bi- monthly, holds an annual Bowl -a -Thon and the funds they raise are used to purchase new Teddy Bears (usually from an outlet in Toronto) which are donated to various agencies to distribute as they see the need. They have also distributed bears to such groups as the Peterborough Fire Department, Hospital Emergency, EMS and the Canadian Cancer Society. The group has scheduled another Teddy Bear Bowl-a-Thon fundraiser for the spring but no date has been set yet. While Kiwanis International was founded in 1915 in Detroit, it truly became international the following year when a club was formed in Hamilton. Its motto was Serving the Children of the World , One Community at a Time. The Peterborough Kiwanis Club was created in November of 1921 and the Kiwanis Club of Scott's Plains was established in Peterborough in 1974. 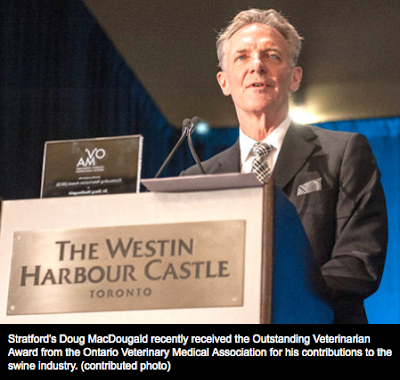 The Aktion segment of the organization is much younger, having been born in Florida in 1987. It soon spread throughout the Florida area and then, by world-of-mouth, throughout the Kiwanis world. Aktion Club became an official Service Leadership Program of Kiwanis International on Oct. 1, 2000 and today there are also clubs in the Barbados, Malaysia, Jamaica, Bahamas, Philippines and Australia. More than 12,000 adults with disabilities around the world are involved in this Kiwanis-family program, developing leadership skills while working with others to help those in need. Their projects range from fundraising for Sleeping Children Around the World (SCAW) to recycling drives to cleaning up parks. Its mandate is to empower members to be themselves, work together with friends and implement plans through action. Aktion clubs can also be established at churches, libraries, YMCAs, lodges or similar facilities. A Kiwanis club, composed of like-minded, service-oriented people from the community, serves as the club’s sponsor. The current club has 24 members. 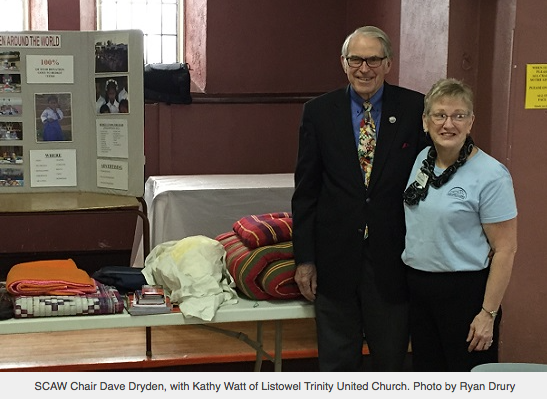 The Sleeping Children Around The World charity had its’ chair, former NHL goalie Dave Dryden, in Listowel at Trinity United Church on Sunday. 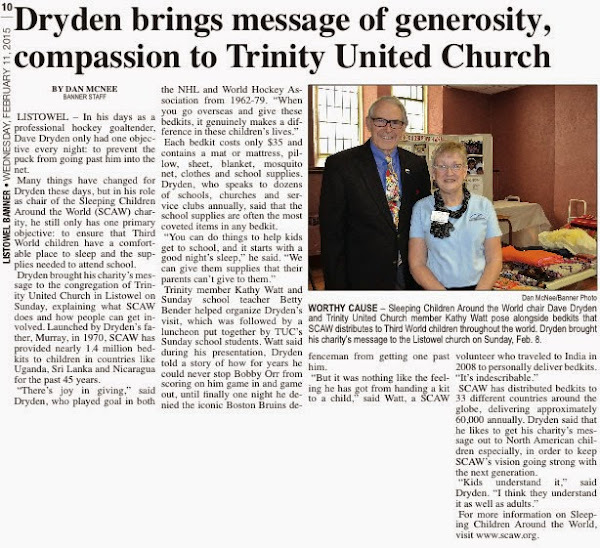 Dryden explained the goal of the charity is sending custom bed kits to poverty-stricken countries world-wide. Dryden highlighted some of the 9 current countries they service, including Uganda and Honduras, and about the impact it has in those areas. For more info on Sleeping Children Around The World, including all the countries they deliver to, or to make a donation of $35 for a bedkit, visit www.scaw.org. As posted by The Hindu, Chennai, India, February 5, 2015. Children living on pavements have a good Samaritan in Sleeping Children Around the World (SCAW). The NGO based in Canada, in association with Rotary Club of Ambattur, distributed bed kits to children from three schools in the city. Sidney Frank, consul general of Canada, to mark the distribution of one lakh bed kits, felicitated Judy Dryden, daughter of Murray Dryden founder of SCAW, at a felicifunction organised by the club on Wednesday. Yadav Murti Sankaran, president of the club, said it had been associated with SCAW for 29 years. This year, bed kits were distributed to beneficiaries in various parts of the State including Theni, Yercaud, Vellore and Tiruchi. The kits contain a bed spread, a quilt, bed sheets, towels, pillow, raincoat and school bag.